CBD Oil Review rates the Hemp Health Technologies line with one star because it qualifies for the Quality badge. Hemp Health Technologies creates an organic CBD oil tincture product that costs $55. Hemp Health Technologies is a family run brick and mortar health food store from South Georgia that sells this CBD oil tincture both online and in their store front. Hemp Health Technologies like most claims to have an Organic product but as this industry is unregulated there is no proof. What makes Hemp Health Technologies special is that they are one very few companies using GMP certified, FDA regulated lab to create their CBD tincture. Something very strange is that Hemp Health Technologies claims, “…CBD content of 15-20%, which increases to 35% when warmed under the tongue.” That is just not correct, it is not that the CBD oil percentage increases, but the absorption of CBD might. 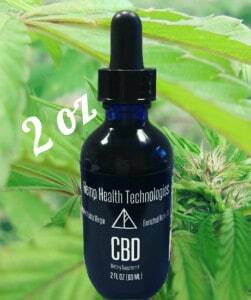 Quality Verified – Hemp Health Technologies uses high grade Co2 extracted CBD hemp oil for their tincture products. Might Not Be Safe – Hemp Health Technologies does not provide lab results for their products to it is impossible to know if they are safe to take. Confusing CBD Content – They Claim that their tincture has 39.4 grams of CBD oil, but this is total grams of product NOT the content of CBD molecule. This is a highly misleading practice that makes their product look like the best deal on the market but when you look deeper it is not. So I purchased some of their oil. The claim it is 15-20% CBD concentration (ignoring all of the contradictory B.S.) for a bottle that has 39.4 grams of hemp oil is a really good deal, if the product is legit. That would mean at least 6 grams of pure CBD in the product... Not too bad considering the competition charge that much for .2 grams for a similar price.I've been using hash oil and CBD preperations for a very long time. I know what CBD and THC taste like. You can't avoid those flavors once the percentages start to get over the 2% mark. And there are a whole host of other aromatic terpenes that contribute a number of different flavors to the oil as well, EVEN if you have no THC you will have these terpenes. And I am also a consumer of hemp seeds, and hemp seed oil. In hemp seed oil, the oil has a COMPLETELY different flavor, as it is devoid of THC, CBD and most of the terpene profile you get with hash or cbd oil.But here is the problem, when I taste this product, all I taste is hemp seed oil. Now my nose and taste buds are not precise lab instruments, I can't tell you exact percentages, but I can tell you that nearly none of this oil came from anything other than standard industrial hemp seed oil. This is not hemp leaves and stems, this is seed oil *only* that is nearly completely devoid of anything that might resemble CBD. I don't smell anything that is likely to have a benzene ring (the very definition of aromatic hydrocarbons, such as CBD).I think this is about $1 worth of quality hemp seed oil, being sold for $60. This may be a good quality hemp seed oil, but it is not a source of CBD as far as I can tell.So how can I have this tested? I asked a lot of questions of the Hemp Health Technologies people by way of email. I never got any answers. I used both email, and their customer service form. If they were honest people with an honest product, they would answer my basic questions... Things like "is it decarboxylated?" and "Can I see a copy of your most recent product lab report?". I also asked for the password to the faq page. Keeping the faq hidden by password, I guess that keeps the people that know the difference between indica oil and hemp seed oil from posting embarrassing reviews like this.Now if I can get this stuff analyzed, and I turn out to be wrong, I'll gladly eat my words and sing their praises. I just need to find an economical lab or test kit. Any suggestions?There was one test kit that was supposed to be $15 each, but it is closer to $100 now, so I'm trying to find other ways to prove what I think my noose is telling me. Had the oil tested and wrote them back that it tested with 0% cbd. Not even 1%. Robin William's reply?" I would, like to see a copy of your testing results and methods. At present, I have a shipment being held up by customs, as per the DEA, because of the high CBD content and the argument about the classification of cannabidiols. So, evidently, the test the DEA uses is showing CBD. Perhaps it is your testing method that is not accurate? "I sent a copy to him and no reply after several follow up emails. I was concerned that he was being fooled by his supplier. Now I'm concerned that he's fooling himself. Thank you SO very very much for these reviews. I'm on the search now too for legit products that will help and when it comes to cancer, they're playing with people's lives. It's truly disgusting how people will try to skrew over one another, just for that almighty dollar.Back to the search for true CBD oil and other helpful cancer removal products. after reading the over all summary of this review I found one mistake. Hemp health technologies claims that each bottle contains 39,400 milligrams per bottle which is an outright misrepresentation, impossible. They also claimed that their mixture came from hemp seed and that it was the highest cbd content allowed by law. After calling them and getting my money back, I did more research to find out that cbd is not even a component of the hemp seed. The very next day she changed her website and now it says that her cbd comes from the indica plant. She does not know what she is selling or she is outright lying about what she is selling to cash in on the market which is in demand. Shame on HEMP HEALTH TECHNOLOGIES! Well I fell for the it hook line and bull, NO ONE CAN PRODUCE ANY ACTUAL RESULTS. Right? 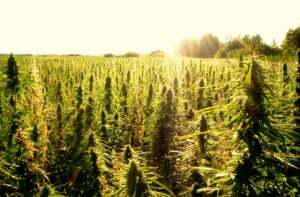 Is there not a 'good' hemp oil out there? been looking can't find. I guess the only way to go is DO IT MY SELF... crap. Hello Lola! Thanks for your comment. There are a few good help oils out there that are doing things mostly well. Check out Endoca, Bio Hemp CBD and Browns Botanicals. These are some of our top rated brands. Hope this helps!